In preparation for the introduction of mandatory Business Information Modelling (BIM) on all government funded projects from 2016, Knauf Insulation has launched a comprehensive library of BIM objects. 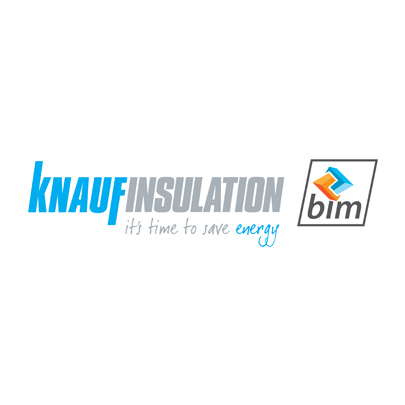 The objects are free to download from the Knauf Insulation website, offering specifiers easy access to key insulation components that can be incorporated into BIM designs. Whats more, Knauf Insulation is the first manufacturer to offer construction build ups (material layer sets)  objects that contain a combination of products and form a complete construction element, such as a masonry cavity wall. The state of the art objects have been created in consultation with architects already using BIM and in accordance with BS ISO 16739:2013 and BS 8541, to ensure the highest standards of data quality and consistent definitions across the board. Importantly, the objects have been designed to meet current requirements, as well as looking towards the future needs of Level 3 BIM projects. The library contains more than 200 objects, each containing a wealth of detailed information including thermal conductivity and resistance, product size and form, third party data and BBA certifications, sustainability information and any other certifications. "Knauf Insulation is leading the way in using a repeatable process to offer standards compliant BIM objects. This will ensure that their BIM library is always up to date and is always consistent with BS ISO 16739 and BS 8541, commented Nick Nisbet, Technical Coordinator of buildingSMART UKI and member of BSI Committee B555 on construction information. Heralded by many as the future of the construction industry, BIM is essentially a data rich 3D model of a building, which allows all those involved in the construction process to work from the same coordinated, highly detailed and consistent plan. At the heart of BIM are objects  digital representations of the component parts of the building. These can be material objects (individual products such as thermal insulation or bricks and blocks) or material layer sets (complete building elements as described earlier). Material objects have been produced for many of Knauf Insulations products, including its Earthwool® glass mineral wool, Supafil blown-in glass mineral wool, Rocksilk mineral wool slabs and Polyfoam® ECO extruded polystyrene products. Whats more, Knauf Insulation has produced a number of material layer sets (also known as construction build ups), covering key fabric construction elements such as full fill masonry cavity walls, timber frame walls, warm deck flat roofs, inverted roofs and below concrete soffits. The objects are available in all of the key formats including IFC, Autodesk Revit, Graphisoft ArchiCAD, Bentley MicroStation and Nemetschek Vectorworks. Dave Khan, Technical Marketing Manager at Knauf Insulation, commented: BIM is going to have a huge impact on the industry and were pleased to embrace this new approach. Manufacturers data will play a vital role in developing information rich designs and so its absolutely essential that we provide readily available objects that are compliant with all the major formats.